When uptime, reliability and performance matter, look to the name that means dependability: Cummins. 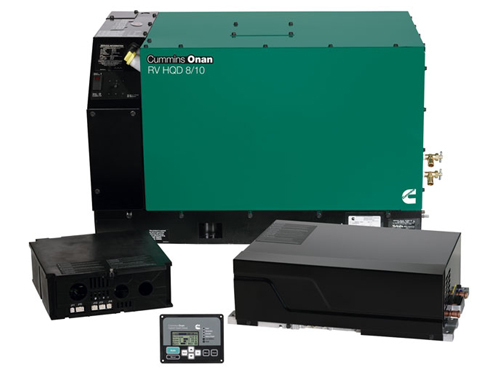 The comprehensive line of generator sets from Cummins Onan is designed for rugged applications and conditions including fire and emergency trucks, utility and telecom fleets and other specialty vehicles. Our reputation for durability is also at home in stationary settings. Choose from a variety of field-proven models offering on-board and remote diagnostics and control, low vibration and noise, and high-quality output. With Cummins, you also get the peace of mind associated with a vast, worldwide support network. So, no matter where you are or what you are doing, you can depend on Cummins Onan. Generator Products for Commercial Vehicles – Cummins Onan builds the highest quality commercial vehicle generator sets in the industry by applying a “Power of One,” integrated approach to design. It is something we borrowed from our renown Commercial Division. From start to finish, our engineers are involved in the development of our alternators, engines, controls and other components so that all components work together as an integrated system. This design approach provides built-in confidence for our customers. 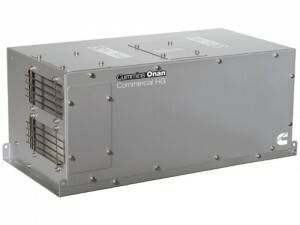 Cummins Onan also provides optimum-quality power in addition to reliability, durability, fuel economy, and ease of service. Whether your needs include commercial, fire emergency or specialty vehicles, you can depend on Cummins Onan. PTO Emergency Vehicle Generators – Protec PTO generator models are specifically engineered for mobile emergency vehicle use with a field-proven design for high performance and long life. 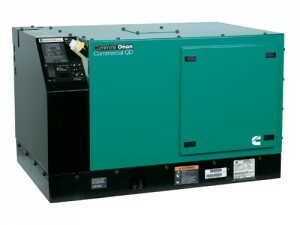 Commercial Use – Designed for tough commercial applications, the Cummins Onan Quiet Gas Series generators are loaded with quality features. These include exceptionally low noise and vibration, easy installation, diagnostic capability and digital regulation which maintains voltage stability as loads change. The Quiet Gas EFI is the first Electronic Fuel Injection generator set in the industry.long life. The 5500 kW and above models are designed to consistently perform in applications where dependability and high-quality power are essential. They are built to be the quietest in their class and the enclosed muffler provides easy installation. The advanced digital control provides extensive diagnostic capabilities by constantly monitoring the generator set’s operation and alerting the user to potential problems. It also assists the operator or service personnel in troubleshooting a variety of operating conditions and service checks. Click the link below for help determining the right size Commercial Power Generator based on your power requirements. Click on any one of the items below for tools to help you determine the best Cummins Oman Model for your specific need. 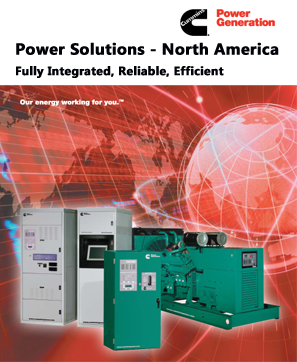 Our Standard and Quiet diesel generator sets offer bullet-proof dependability. When low noise and low vibration are requirements, choose from this heavy-duty line of Quiet diesel products. These gasoline generator sets are designed to consistently perform in applications where dependability and high-quality power are essential. They are built to be the quietest in their class and the enclosed muffler provides easy installation. We offer LP Liquid- or LP Vapor-fueled generator sets with electric fuel solenoids. These hydraulic generators start under full load and run at the rated output, giving you all the power and performance you expect.